GILROY - Jason and Olga Price loved flying together to their favorite vacation spots, often with their three children strapped into the passenger seats of a high-performance aircraft. Last weekend offered another holiday flight, but it ended in tragedy when the plane he piloted crashed into a Bakersfield almond orchard, killing the couple and their three children. In the modest Gilroy community where the Prices lived, residents were dumbfounded Monday at the loss of a family that one neighborhood child said had "hearts made of gold." "They were supposed to have a bright future in front of them, " said Xiomara Garcia, 11. "They were just so kind." Xiomara and other friends of the Price children - Olivia, 9; Mary, 10; and John, 14 - had created a huge sympathy card that the whole neighborhood came by and signed, front and back. Xiomara wrote: "Fly like angels." Authorities officially identified the crash victims late Tuesday afternoon. But Jimmy Dahlan, who was at the family home Monday, confirmed that his sister, Olga Dahlan Price, and her husband, Jason Thomas Price, perished along with their three children. Price was an engineer and former Coast Guard machinery technician. He and his family were flying to Las Vegas to visit friends Saturday when disaster struck. Federal investigators were still combing through debris and flight recordings Monday for the cause of the crash. Neighbors created a small shrine with candles and each member of the Price family's name painted on a series of small stones. They lit the candles Sunday night, and again Monday morning. Erik Goldammer, a family friend, brought a bouquet of flowers to the family's home on Ousley Drive. "You could tell instantly when you met them that they were important to everybody they met, " said Goldammer, whose daughter went to school with Mary and Olivia. "They were central to a lot of families here, especially within the school community. It's going to change a lot of people. They touched a lot of lives." John attended Silicon Valley Flex Academy in Morgan Hill, and the girls went to Luigi Aprea Elementary School in Gilroy, neighbors said. Mary and Olivia were active in gymnastics. Peter Overstreet of San Francisco said in an email to this newspaper that he and Jason Price met in 5th grade and became part of a close-knit group of friends interested in comic books, science fiction and adventure. He said some members of the group gathered at a restaurant in San Mateo to remember Price. "I think we agreed upon one central element: Jason was a survivor, a good father, and an honorable man, " Overstreet said. "Jason struggled through some tough times in his childhood, which is probably what shaped him into the adult he became. He strived to become a 'better man' every day of his life, despite many obstacles being placed into his path." The Prices had decorated their ranch-style house for the holidays with three Christmas gift boxes stacked near the front door and ornamental gold bells hung from the eaves. A portable basketball hoop stood at the curb. Jeremy Gomez, a 14-year-old who lives in the neighborhood, said John shot baskets most days. "Before this happened, I saw him Friday morning playing with his sister, " Jeremy said. "He'd tell us jokes and make us laugh all the time. His sisters, too. They were a loving family and they were always fun to be around." John was already following in his father's aviation footsteps and taking flight lessons, Jeremy added. The Prices departed Reid-Hillview Airport in San Jose on Saturday for Las Vegas. 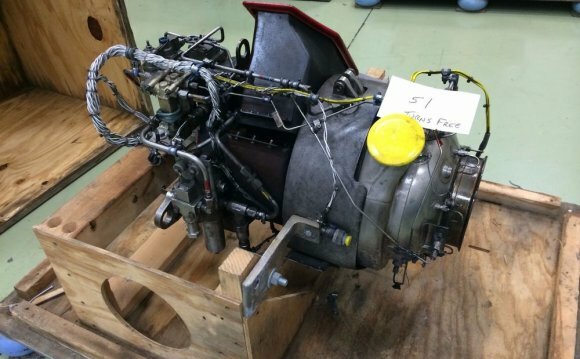 But the single-engine Piper PA32 Turbo Lance plane soon ran into trouble. After radioing a mayday distress signal, Jason Price switched course toward an airport in Bakersfield. He apparently lost control of the aircraft during a steep descent from 15, 000 feet. Investigators will determine whether wintry conditions were a factor in the crash. Aviation authorities warned early Saturday of icing above 5, 000 feet. Xiomara, who lives a few doors down the block from the Price residence, remembered a recent conversation with Mary and Olivia. "I said, 'What are you doing for Christmas?'" the girl recalled. "They said they were going to meet family and friends in Nevada. They said it's really nice going there and seeing old friends and family." John was a huge "Star Wars" fan, Jeremy said. He had Lego starships hanging from the ceiling of his room. Olivia had a really big imagination, while Mary was smart and loved to dance, said Xiomara.